With so many visitors coming to Lucas Oil Raceway in Brownsburg, Indiana, for the NHRA Mac Tools U.S. Nationals competition today through Monday, Sept. 3, we thought it might be both topical and helpful for our guests to get tips on some things to do and places to eat in Hendricks County from some of the drivers who actually live here locally all year. 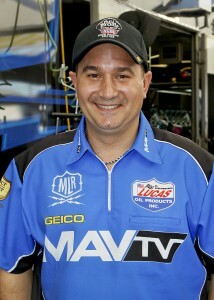 Brandon Bernstein - Brandon is a Top Fuel driver for Morgan Lucas Racing, based in Brownsburg. He pilots the MavTV/Lucas Oil dragster and is the son of legendary racer Kenny Bernstein. Off the track, the married father of a toddler enjoys playing softball, golf and computer games. Brandon is currently in the No. 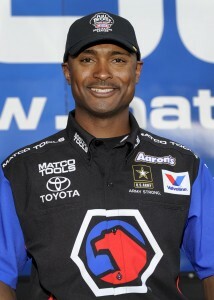 9 position in the NHRA Full Throttle Championship point standings. 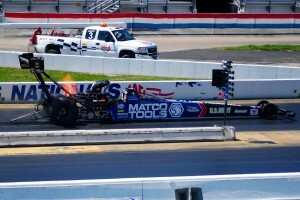 Antron Brown - Antron is a Top Fuel driver who lives in Pittsboro, Indiana, with his wife and three kids and races the Matco Tools dragster for Don Schumacher Racing in Brownsburg. 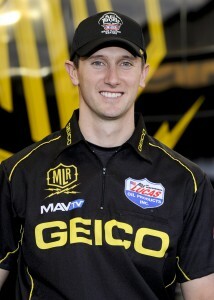 He currently sits in first place in the point standings. In his free time, he enjoys RC boats, motorcycles and fitness. 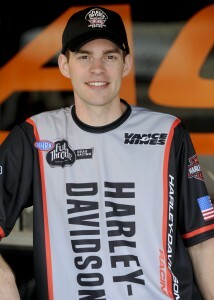 Andrew Hines - Andrew is a Pro Stock Motorcycle driver for Vance & Hines, based in Brownsburg. He lives with his wife and two sons in Avon, Indiana. He won three consecutive Powerade world championships from 2004 through 2006 and currently sits at No. 2 in the point standings. 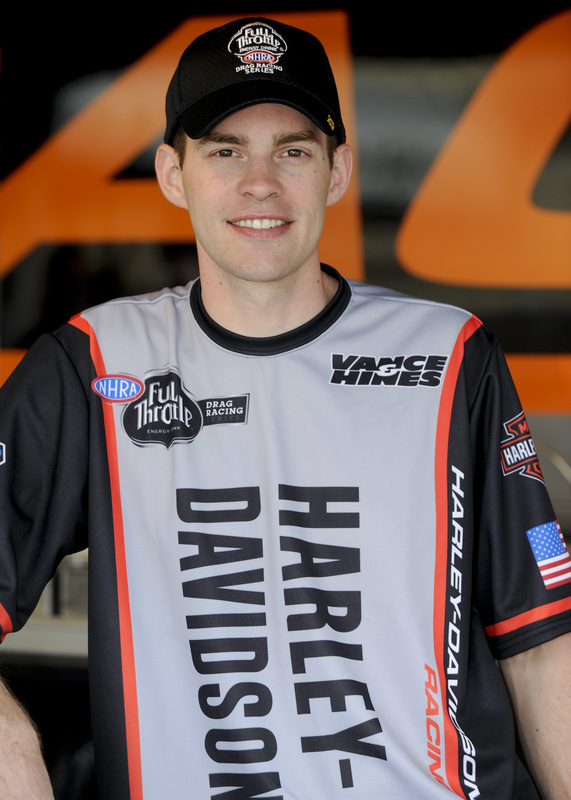 Andrew&apos;s off-track hobbies include scuba diving, hiking, and go-kart racing. 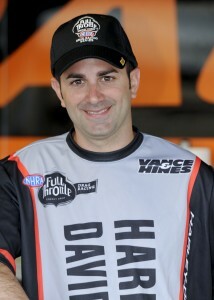 Eddie Krawiec - Eddie currently holds the top spot in the Pro Stock Motorcycle point standings. He is the reigning world champion on the track and enjoys bracket racing street cars and go-kart racing when he&apos;s off the track. Eddie lives in Avon, is married and has a young daughter. 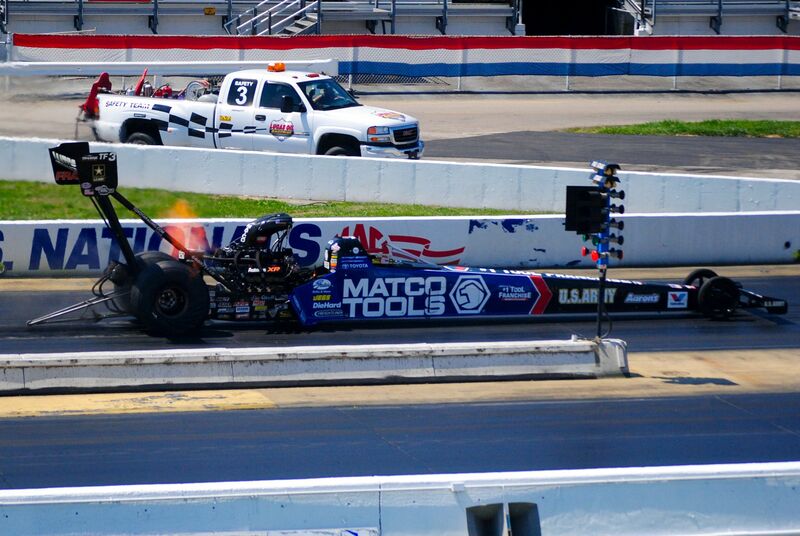 Morgan Lucas - Racing is in the blood for this Top Fuel driver as his mother, Charlotte, races in NHRA&apos;s Super Comp category, and his father, Forrest, owns Lucas Oil Products. 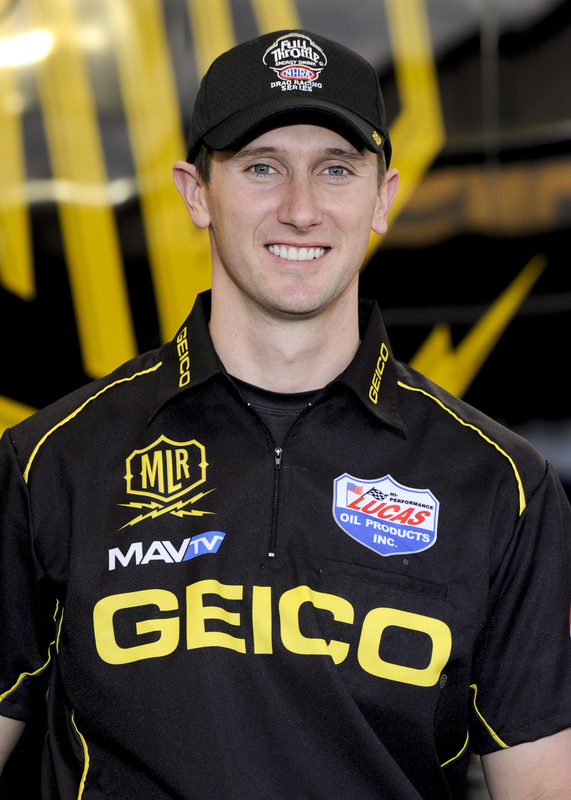 Morgan won the Mac Tools U.S. Nationals in 2003, and the Brownsburg resident drives the Geico/Lucas Oil dragster for Morgan Lucas Racing. He is currently in the No. 6 position in the point standings. In order of how many of these guys mentioned these restaurants, here&apos;s what they said when asked where they like to eat locally: Boulder Creek Dining Co. - Bernstein, Brown, Hines, and Krawiec all recommend this upscale-casual restaurant that has been located in Brownsburg since 1996. Race fans can find their delicious barbecue ribs, wood-fired pizzas, steaks and pasta at 1551 N. Green St., Brownsburg. Charbono&apos;s - Owned by the same people who own Boulder Creek, Charbono&apos;s has been voted the most romantic restaurant in Hendricks County for three years in a row. It&apos;s no wonder that two of the married guys -- Hines and Krawiec -- recommend it. 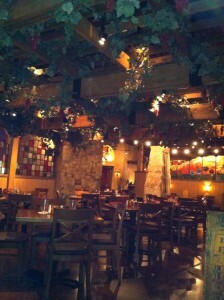 Charbono&apos;s features Italian cuisine, seafood, and wood-fired pizzas and is located at 128 N. Ind. 267, Avon. Dawson&apos;s Too - Brown and Krawiec both mentioned Dawson&apos;s Too, located at 773 E. Main St., Brownsburg. A little more casual atmosphere and a little lighter on the wallet, the food at Dawson&apos;s doesn&apos;t disappoint. They offer a wide variety of menu items for lunch, dinner, and Sunday brunch, and Krawiec recommends trying the penne pasta. Stone Creek Dining Co. - The owners of Boulder Creek and Charbono&apos;s seem to know a thing or two about dining because they own Stone Creek, too. It&apos;s located in the Metropolis Mall in Plainfield, Indiana -- 2498 Futura Park Way. It comes highly recommended by both Hines and Krawiec. Tegry Bistro - Interested in some sushi, seafood, and other Japanese cuisine? Tegry Bistro, located at 1521 N. Green St., Brownsburg, is a favorite of both Bernstein and Brown. Bernstein likes the Ali Roll and the Medlin Roll there, while Brown enjoys the California Roll and the Volcano Roll. Hurricane Grill & Wings - Lucas enjoys the the wraps, the Philly cheesesteak, the great service and the relaxing tropical atmosphere at Hurricane, 251 W. Northfield Drive, Brownsburg. Pit Stop BBQ & Grill - Hines recommends this race-themed establishment at 932 E. Main St., Brownsburg, for delicious food and a family-friendly, wallet-friendly experience. Fans who arrive early for Nationals may want to swing by Pit Stop for their Wednesday night buffet. Sal&apos;s Famous Pizzeria - Sal&apos;s has a location at 1028 E. Main St., Brownsburg, and another one at 350 E. Main St., Plainfield. It&apos;s one of my favorite local Italian restaurants to take my family to, but I&apos;m not a racer. 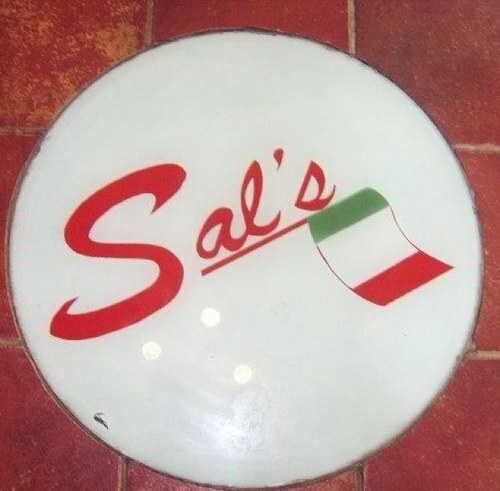 Hines is, though, and he and his family like Sal&apos;s, too, so you can trust that it&apos;s a great place to try. (I&apos;m a sucker for their spinach lasagna, in case you&apos;re wondering what to order.) So Italian! - Looking for homemade pasta, pizza, sandwiches, salads, and desserts? Brown says look no further than So Italian, located at 515 E. Main St. in Brownsburg for outstanding Italian food at very good prices. Not enough choices for you? No worries. We have a bunch more suggestions for where to eat in Hendricks County. Race fans are obviously in town to watch the Mac Tools U.S. Nationals, but in case you find yourself with some time on your hands, Hines recommends checking out all the race shops on "Nitro Alley" -- Northfield Drive in Brownsburg -- to get a feel for just how big of a role that racing plays in Hendricks County. Brown invites everyone to come to the Don Schumacher Racing Open House from 10 a.m. to 3 p.m., Aug. 31. It&apos;s a free event with all sorts of cool activities planned, including a silent auction that will benefit the Riley Children&apos;s Hospital in Indianapolis. 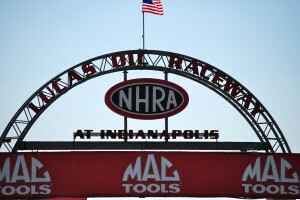 Bernstein suggests checking out the campgrounds at Lucas Oil Raceway and similarly, Brown urges fans to soak up the atmosphere of the facility, which he refers to as "the roots of NHRA racing." We have some ideas for where to play and where to shop in Hendricks County, too. We even have special discounted tickets to U.S. Nationals by clicking on this link and choosing the day or days you would like to attend. 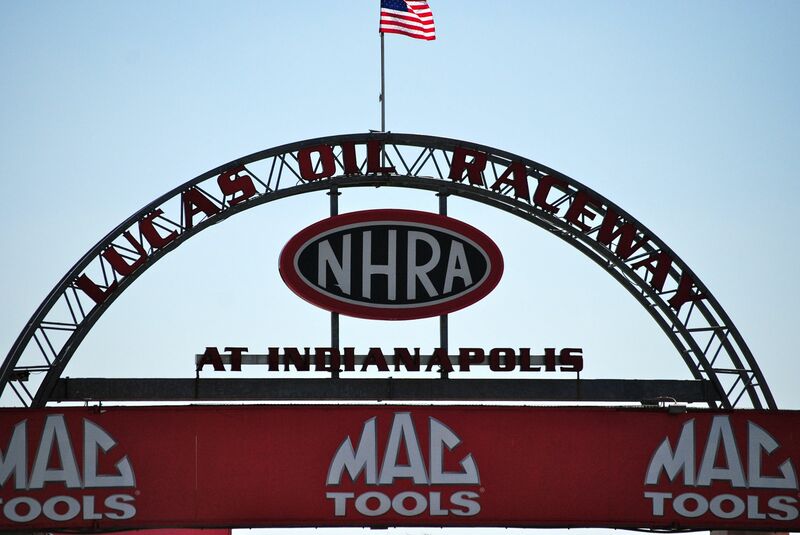 With this great advice from these local NHRA racers and a discount to the race, how can you go wrong? Enjoy the event and Hendricks County!